How can one mention summer without lemonade in the same sentence, right? 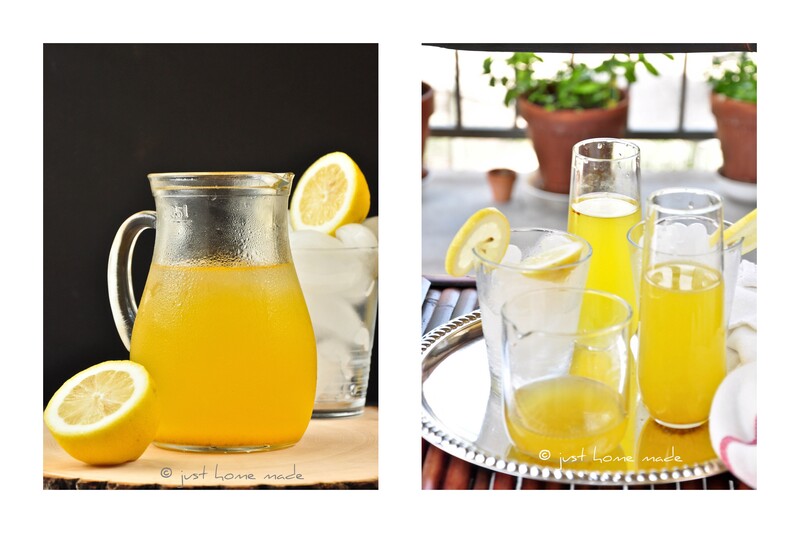 Lemonade is such a part and parcel of the season, to beat the heat and refreshingly so. Lemonade being so ubiquitous, recipes are limited only by one’s imagination. This recipe is simple yet ranks very high on looks, flavor and taste. 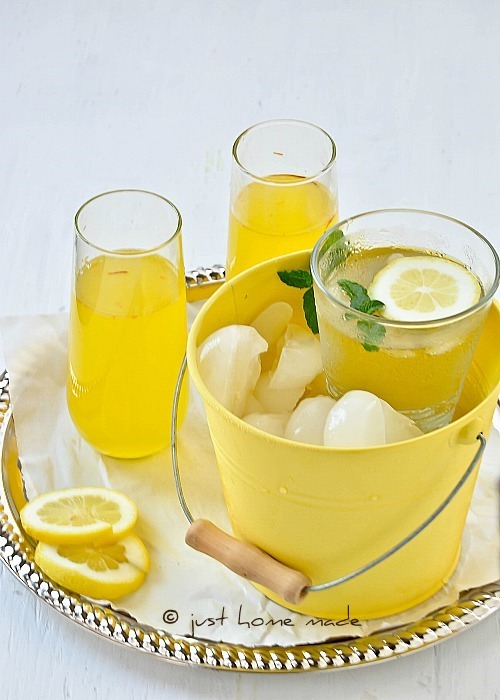 There, you have the three musketeers of the culinary world in one tall glass of sunshine yellow lemonade! You must be wondering where on earth did I find Meyer Lemons now! I must be misplaced talking about the Dec-April season citrus fruit in the middle of nowhere in July. Well, I could find them here in TX even till end of May or early June. Only I couldn’t get this post out much earlier. You know why? I was indulging in a good summer break, letting my hair down and putting my feet up in Long Beach, California followed by meeting close friends in sunny San Diego after years and then a day of wonderful photography workshop by Helene of Tartelette in Salt Lake City. I have a lot more to say about that, perhaps in my next post. Now that I’ve gotten it out-of-the-way, let me get back to telling you a little about Paanaka. Paanaka is a sanskrit word for a ‘drink’ or ‘drinkable’ usually a juice or similar. Where I am originally from, lemonade season starts as early as March, especially to mark the birth of Lord Rama, the popular Hindu deity and epitome of virtue, piety and simplicity. For those reasons, a festival by name Ramanavami is celebrated by offering Paanaka coupled with Kosambari, a kind of soaked lentils salad. Tradition aside, Paanaka is never reserved only for festivals, it is highly sought after to cool parched throats on any scorching sunny afternoon! This recipe comes from my grand dad’s house, the way it has always been made for as long as I can remember except for the pinch of salt, which I learnt from my mom. You might think what a pinch of salt can add? World peace, may be not; taste, of course yes. However weird or counter-intuitive it sounds, salt opens up the sweetness of lemonade in its inconsequential existence. In my grand dad’s house, Paanaka would be (and still is) made in a huge steel vessel with a copper bottom, one that could hold at least 10 litres. Don’t even bother imagining leftovers. With a large joint family to cater to, a glass here and a glass there always resulted in an empty vessel before our thirsty throats realized. Meyer lemons have a delicate aroma and are less pungent than their regular commercial counterparts. Their color and flavor falls in between that of lemons and tangerines with a subtle floral note. You guessed it, they are hybrids, a cross between regular lemons and oranges or tangerines. Fruitier than they are acidic or zesty lemony, they come in spherical shapes with a thin, soft and smooth aromatic rind. Hadn’t I been blogging (rather tweeting), I doubt if I would have ever discovered these lovely rich orange-yellow beauties on my own. Never mind if you can’t find them anywhere in the farmer’s market or your favorite whole foods store now. There is always the next season. And, if you ever get to see them anywhere, don’t shy away from buying. They are an experience in themselves. Oh, if you said you have a Meyer lemon tree in your backyard, I’d call you lucky, can’t stop wishing I had one too! A combination of different aromatic notes of the floral Meyer lemon, indescribable saffron and almost camphor cardamom make this lemonade exquisite. 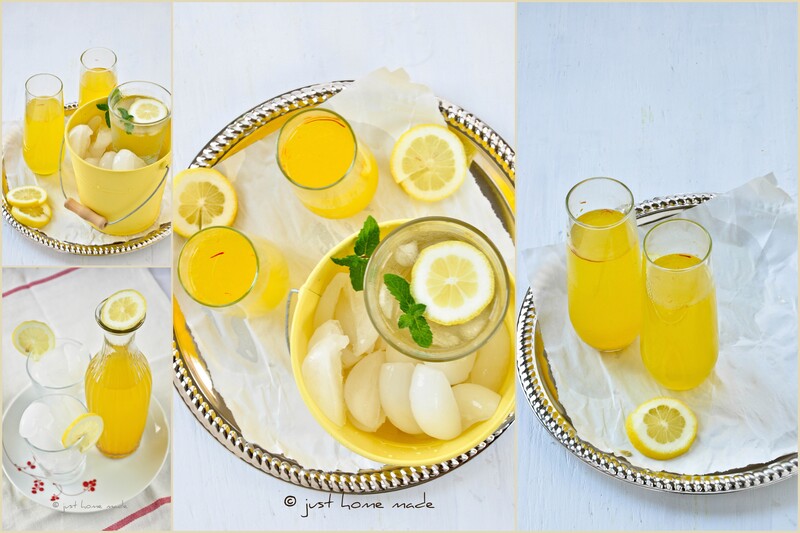 If you have never tasted lemonade through saffron and cardamom spectacles, this summer is the best time I’d say.. 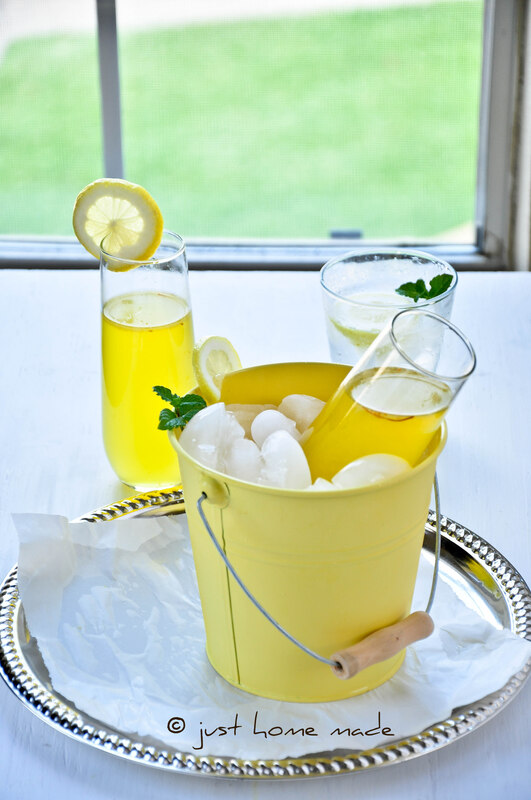 I know there must be a gazillion lemonade recipes, but which one is your favorite? And what is it that makes it special? Infuse Saffron Heat or warm half a cup of water on the stove top or microwave. Crush the saffron strands between your finger tips into the hot water, cover and let infuse. Grind Cardamom Gently pound on the cardamom pods either with a rolling-pin or with a pestle and pry open the seeds with your fingers. Either grind the seeds fine in a mortar and pestle or on the counter with the rolling-pin. Juice lemons If the lemons are refrigerated, let them come to room temperature before juicing for maximum juice or just sit them in warm water for 10 mins. *in case you’re using regular lemons: If you still find them hard after thawing, wrap them in a tissue or plastic bag and place on the floor. Roll them gently back and forth with your foot for about 10 secs. Why not with your palm? palm doesn’t deliver the right amount of pressure that foot does I guess. I’ve always done this way (this is how it was done at home), it makes sure all of the juice is well extracted*. Unwrap and wash lemons well. Squeeze juice using a citrus juicer or just by hand. Paanaka Pour juice into a glass and add salt. Add enough sugar to fill the juice completely. Add saffron water, stir well or let sit for a bit until the sugar dissolves. Add some cold water and transfer to a large glass jug, pour remaining water, sprinkle ground cardamom as per your taste and stir well. Serve Taste and adjust water, sugar and cardamom before serving chilled. Sprinkle cardamom just before serving as otherwise it loses its flavor soon. Select lemons that have a thin, smooth skin and are bright, shiny and heavy for their size which indicates juiciness. Because it is fruity, it requires lesser sugar compared to regular lemons. Sugar substitutes Sub honey, half and half of cane sugar and honey, brown sugar, even jaggery or sucanat for interesting tastes. This is truly a sunshine drink 🙂 Love the color, the presentation, the styling and the lighting SIGH!! Not sure which one to pick as my fav. Such a refreshing drink … i have to try this one for sure! Thanks Kankana. you are always so kind..
Sunshine in a glass!!! What a gorgeous drink! I’ve never heard of panaka before, but I love that it includes saffron and cardamon, such beautiful spices. Thanks Jennifer. Saffron and cardamom make this drink exquisite indeed. Thanks Kulsum. Saffron is my favorite as you can see in quite a many recipes I’ve posted so far.. Your tangerine lemonade calls for a very interesting set of spices. Definitely need to give it a try! Wowwwwwwwwwwww… Looks soo tempting and perfect. Love the presentation dear.. awesome photos.. thanks for sharing !! oh I agree…thats how summer should look like….awesome drink and lovely clicks. What lovely post to start my week with. 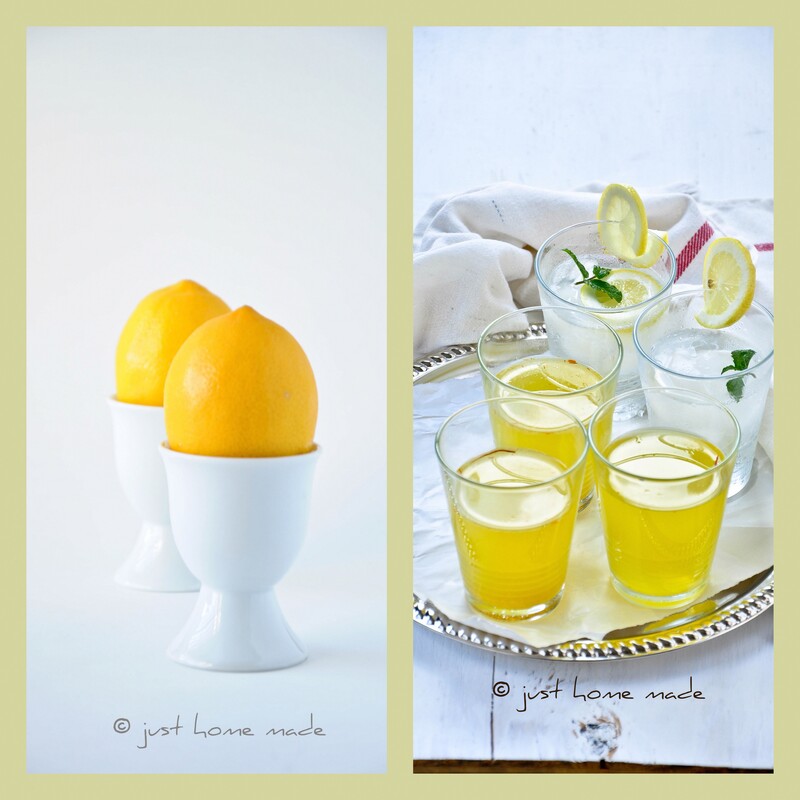 I love Citrus and this post distills Lemons! Kudos. Thanks Rushina, so glad you love it.. So sweet of you Anamika. Saffron infuses such lovely color, we love it too. looks like everyones doing something with saffron and cardamom now! I just posted a mango recipe with saffron and cardamom 🙂 And look at the color of that lemonade! Love it! So true, I’m so crazy about saffron and cardamom as a pair, you’ll find more than a handful recipes with them here. Saffron must be my favorite spice.. Flavors of saffron and cardamon marry well with each other and I am loving each and every picture of this drink. Thanks Radhika. Well said, they are really made for each other. Mmm, YUM! Love everything about this post from the photos to ah, so refreshing cooler! Thank you and so good to see you stop by Prerna. Thanks to each one you. your sweet comments are much appreciated. They really brighten my day! I love your photographs! and Ramanavami and Panakah..sigh… if you know kannada, you would also know how awesome the beladahaNNu panakah tastes! My mom makes it the same way that you have mentioned except she uses jaggery…. We only met briefly at the photo workshop in SL but what a pleasure to stumble upon your blog and peek at your recipes. Your photos are absolutely gorgeous. Happy to have a new site with wonderful recipes to browse through! Cheers!! Wow! How awesome that is, Katherine! It is almost like a dream..
I’d love to know how you like it when you do try.. Saving this one. I have a bit of Meyer lemon juice tucked away in the freezer that would be perfect for this.